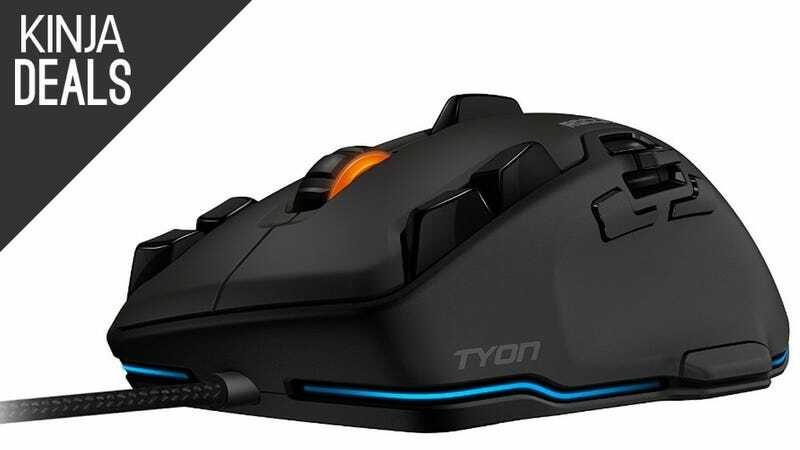 Newegg has a couple of rare deals on popular ROCCAT gaming mice, today only. The $60 Tyon has 14 buttons, full RGB illumination, an 8200 DPI sensor, and a unique dorsal fin switch on the top for executing quick macros. The Kone only has 8 buttons, but will only set you back $50, so if you’re on a budget that’s still a fantastic mouse for your money.